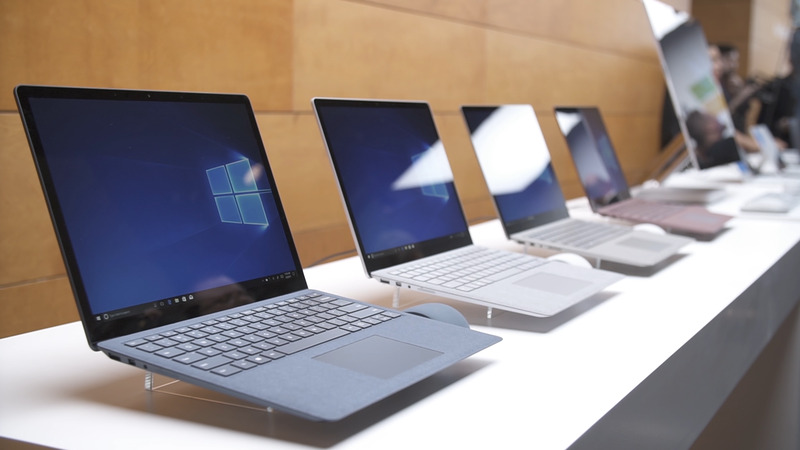 From pricing and specs to hands-on and FAQs, find it all here for Microsoft's Windows 10 S-powered Surface Laptop. Updated Jan. 24, 2018: Under "Pricing and release date," we have updated information on the Commercial Surface Laptop, a new version of the Surface Laptop that optionally ships with Windows 10 Pro, not S.
The Surface Laptop stole the show at Microsoft’s May 2 event. The focus may have been on education, Windows 10 S, and affordable laptops for classroom use, but the oohs and ahhs went to the Surface Laptop for its beautiful display and Alcantara-clad keyboard, not to mention its light weight and long battery life. 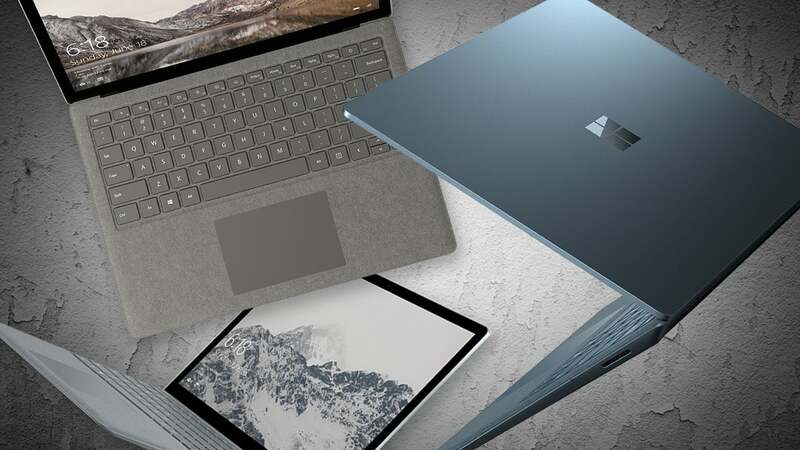 College kids are the Surface Laptop’s purported target user, but a lot of regular folks are intrigued by this new addition to Microsoft’s premium Surface family—and, frankly, many students won’t be able to afford it anyway. 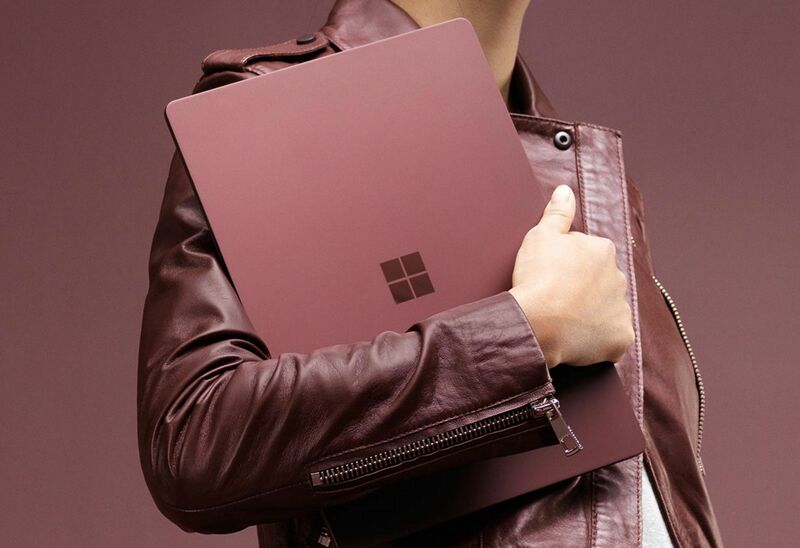 Microsoft seems to agree: for businesses, Microsoft has also announced the Commercial Surface Laptop, a version of the Surface Laptop that ships with Windows 10 Pro, or S.
The Surface Laptop began shipping most SKUs June 15, 2017, and the highest-end SKU started shipping June 30, though just in one color. That's over, thankfully. You can order the Surface Laptop from Microsoft’s site, and it’s also available from major retailers. Notes: As of our July 30 update, the highest-end SKU is available only in Platinum, with other colors still labeled "coming soon." As of Oct. 31, these versions are available in all four colors: the Core i5/8GB/256GB SSD; the Core i7/8GB/256GB SSD; and the Core i7/16GB/512GB SSD. Everything else, unfortunately, is just available in Platinum. 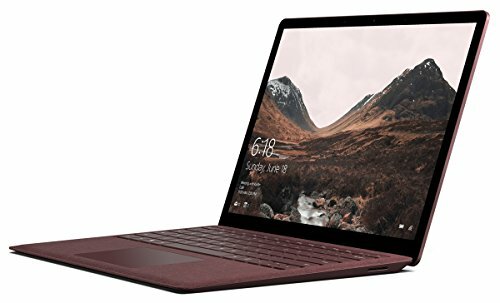 For those who want the freedom of Windows 10 Pro, you should check out the Commercial Surface Laptop, a version of the Laptop that optionally ships with Windows 10 Pro, not S. Microsoft doesn't appear to be restricting sales to commercial businesses, though, as the Commercial Surface Laptop appears on the Store. 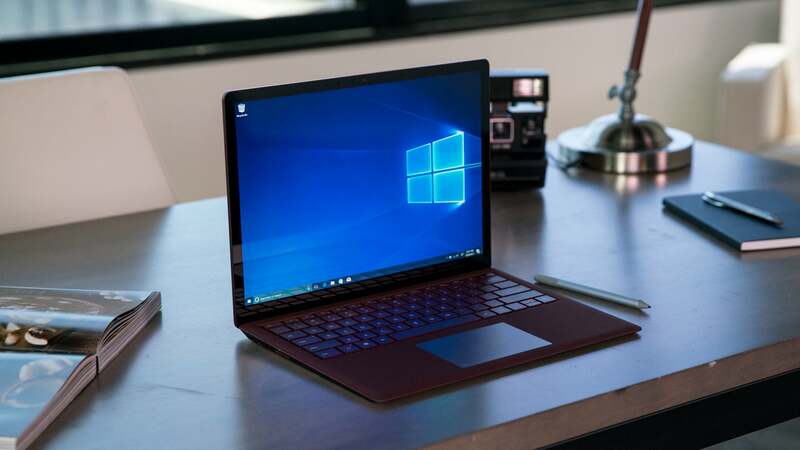 In fact, you have more Commercial Surface Laptop options from which to choose with Windows 10 Pro than you do with than Windows 10 S. In general, the base model (Core i5/8GB RAM/128GB SSD) costs $100 for the Windows 10 Pro option versus Windows 10 S, or $1,199. Otherwise, you'll pay $50 more (for a total of $1,399) for the Core i5/8GB/256GB SSD model. Finally, you have the option of three colors: gray (platinum), burgundy, and cobalt blue. Though that $50 premium also applies to other Windows 10 Pro versions of the Commercial Surface Laptop, many of the models are currently listed as "out of stock." 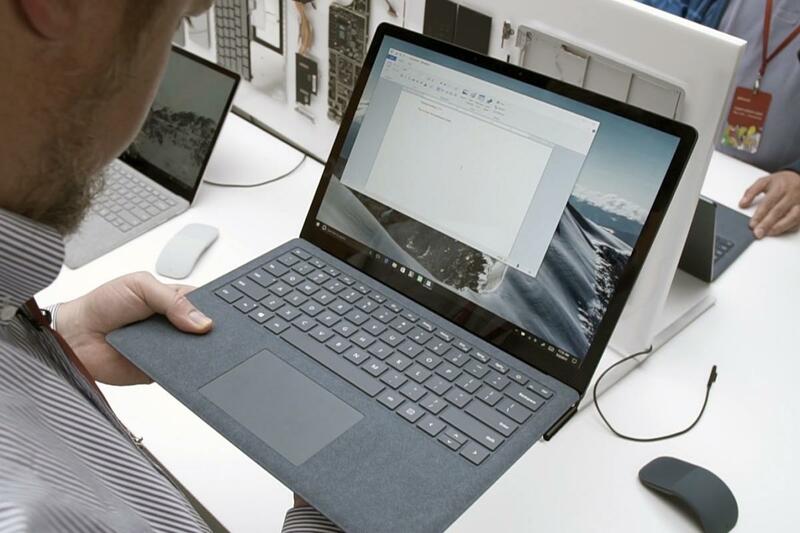 What is is the Commercial Surface Laptop? The Commercial Surface Laptop appears to be an otherwise identical version of the Surface Laptop that ships with Windows 10 Pro installed. Though you can switch from Windows 10 S to Windows 10 Pro very easily, buyers of the Commercial Surface Laptop don't have to worry about any deadlines for doing so. That freedom costs an additional $100 for the base model, though, versus the Surface Laptop. 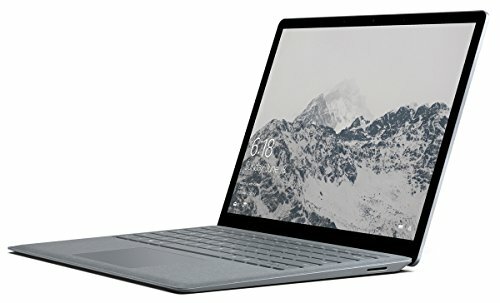 Why buy a Commercial Surface Laptop if it costs more? 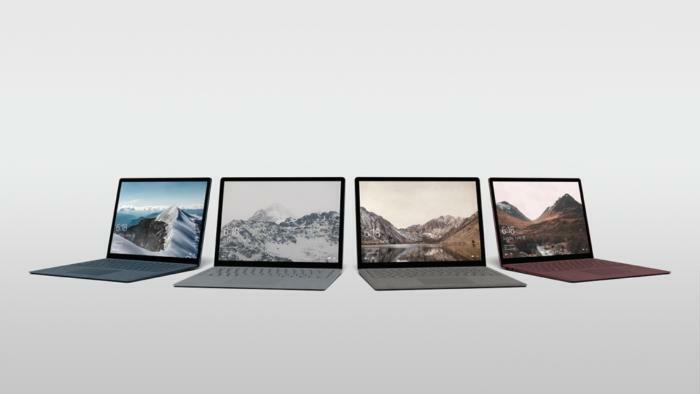 Because the Commercial Surface Laptop ships with Windows 10 Pro, no strings attached. You also don't have to worry about any deadlines for switching. What are PCWorld’s first impressions of the Surface Laptop? 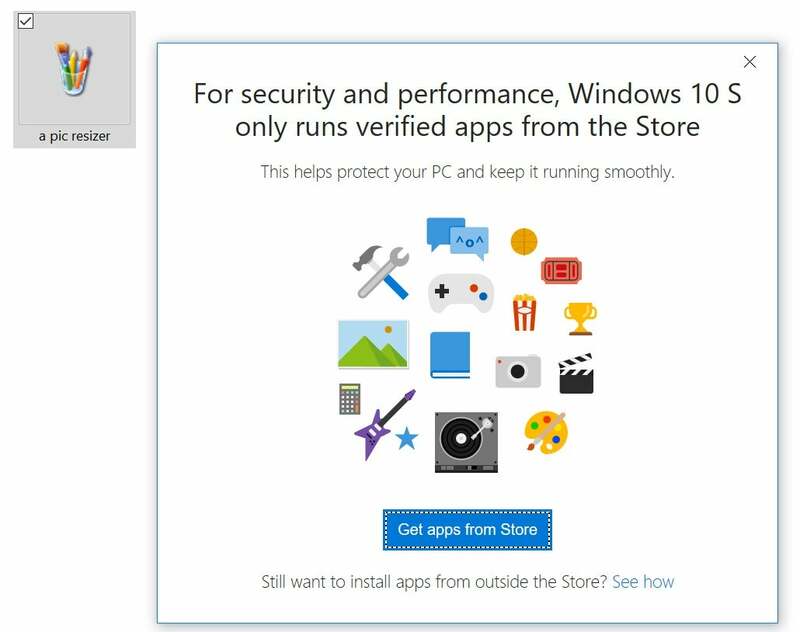 If you try and install an unsupported app on Windows 10 S, you'll see this popup. Click the link at the bottom to install Windows 10 Pro. The second is that a one-year subscription to Office 365 Personal will be included with Surface Laptops that ship with Windows 10 S, but only during what Microsoft calls a "preview period." This preview period gives Microsoft extra time to test the install and update process for the Windows Store versions of office. The end date is not specified, however, so it's not certain how long Surface Laptop owners will enjoy this $70-value bonus. 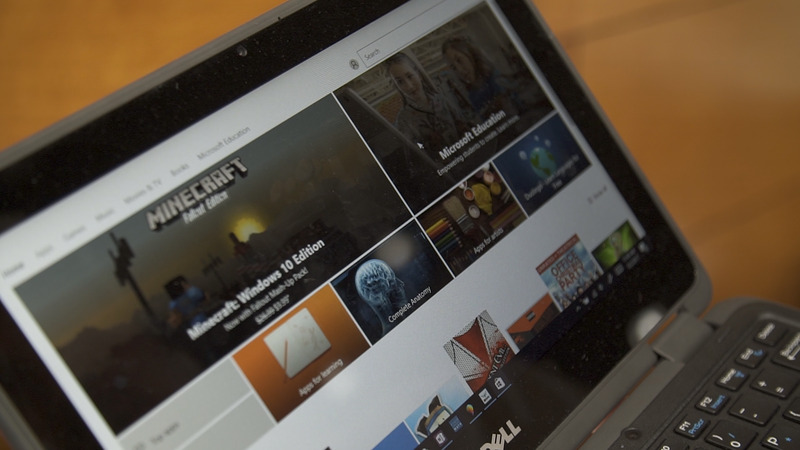 Other Windows users have to wait until the preview period is over to have access to Office apps via the Windows Store. For full information, check out Microsoft's FAQ: Office on Windows 10 S.
But that shouldn’t detract from what Microsoft has accomplished with this machine. It’s thinner and lighter than the MacBook Air, and its Alcantara-fabric-clad keyboard tray makes lifting the lid feel like opening a plush jewelry box. There’s the gorgeous 13.5-inch, 2256x1504 display, for starters, plus Core i5 and Core i7 CPUs and SSD storage. The stingy port selection is one of the few letdowns in this striking design.